ARRA News Service: America At Risk -- ISIS / Terrorism / The Economy / Failing Government . . .
America At Risk -- ISIS / Terrorism / The Economy / Failing Government . . .
. . . -- under President Obama puts a damper over Thanksgiving 2015. 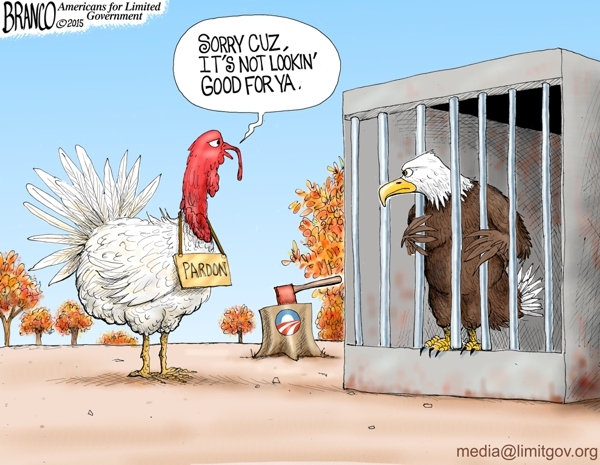 Tags: Editorial Cartoon, AF Branco, America at Risk, ISIS, Terrorism , The Economy, Failing Government, President Obama, damper over, Thanksgiving To share or post to your site, click on "Post Link". Please mention / link to the ARRA News Service. and "Like" Facebook Page - Thanks! Let's get sucked into WW3. Thanks "Barry." A multi pronged attack on the U.S.successfully being carried out by Obama/Soros, et.al.